The court ruled that when you put all the charges preferred against Dasuki together, they do not justify the ongoing abrogation of his rights. Matters are coming to a head. 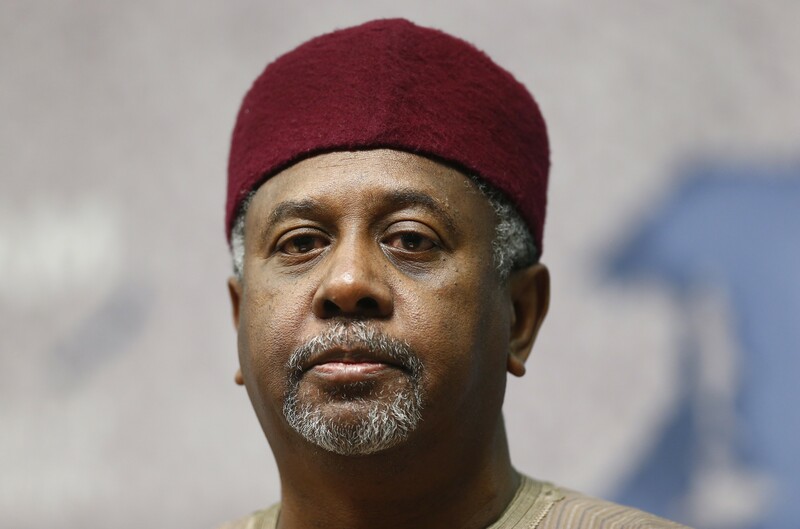 The distraught and embattled former National Security Adviser (NSA), Col. Sambo Dasuki (retd. ), is set to revolt against his traducers and oppressors. For nearly three years, the man has been held in protective custody by the Department of State Services (DSS). Operatives of the security outfit had, on December 29, 2015, arrested him on allegations of illegal possession of arms. They were later to expand the charges to include money laundering. Apart from seeing him as a threat to national security, he is being asked to account for some $2.1 billion set aside for arms procurement during the Goodluck Jonathan presidency. The arms were to be deployed to the fight against Boko Haram, which constitutes real and potent danger to life and property in the country. The DSS is alleging that Dasuki diverted the said fund meant for arms procurement to other uses that were unrelated to the purpose for which it was earmarked. They call that misappropriation, and Dasuki is being asked to explain this to the courts. The former NSA appears ready for the charges. But then, he did not have to be in detention to do that. That was why his lawyers have been applying for bail on his behalf. Besides, the alleged offences for which Dasuki is being tried are bailable. The man, therefore, has the right to his freedom while waiting for the wheel of justice to roll to its logical conclusion. But the snag here is that Dasuki has been denied his right to freedom. Since his arrest and detention in December 2015, the former NSA had been granted bail six times by the courts. Before October 4, 2016, when the Economic Community of West African States (ECOWAS) Court of Justice granted him bail, Dasuki had earlier been granted bail by four different High Courts. All the court orders were ignored by the DSS. Then, on July 2, 2018, Justice Ijeoma Ojukwu of the Federal High Court, Abuja, granted him yet another bail and declared his detention as illegal. The judge held that Dasuki’s detention amounted to violation of his right to liberty. The court equally ruled that when you put all the charges preferred against Dasuki together, they do not justify the ongoing abrogation of his rights, which the DSS is embarking upon. It, therefore, charged the DSS to release him on bail and invite him over for further questioning any time it has reason to do so. Obviously, the DSS was not impressed by the position of the court. It therefore, as before, shunned the court order. In spite of this blatant infringement on his right to freedom, Dasuki has, like an obedient lamb, been attending courts from detention. But now, the man has put his foot down. He has said that he will no longer appear in court until his oppressors obey the orders of the courts by releasing him on bail. In other words, Dasuki is drawing the attention of all involved in the matter to the age-old legal maxim which says that those who go to equity must do so with clean hands. The DSS approached the courts in its bid to procure judgement with which it will indict and punish Dasuki. Yet, the same government agency does not want to obey the orders which will help the court to carry on and conclude the trial of the accused. There is a contradiction here. The DSS wants to eat its cake and have it. Dasuki, certainly, has had enough of this assault on his sobriety. He has declared that he is no longer ready to be used as a cannon fodder. I do not know how the DSS will respond to the Dasuki challenge. But no matter what it does, the matter lies largely in the hands of the courts. The refusal of the DSS to obey the orders of the courts is an assault on the sanctity of those orders. It is also an open disrespect for the courts. It is, therefore, incumbent on the temples of justice to reject the disrespect and assault being inflicted on them. It is wrong for the court to treat the violation of its orders as a non-issue. This is what it has been doing and that is why the illegality has continued. Why is illegality being foisted on an institution whose responsibility it is to ensure that situations remain legal? That is the question. It is the crux of the matter. It is what Dasuki wants the court and the DSS to address. How this will play out will be of interest to the courts and the watching world. While we wait for the courts to insist on propriety and legality, it remains confounding that the government of Muhammadu Buhari, which has been incarcerating Dasuki, is bent on violating the rule of law. I am astounded because we have before us a government that is doing the very opposite of what it preached. Before Buhari and his gang of patriotic do-gooders stumbled upon power, they were democracy’s avenging angels. They preached about rule of law. They made a big issue about good governance. They presented themselves as democratic saints who would ensure that the country abides by all democratic tenets if they are given the opportunity to govern. A good many Nigerians were taken in by the antics of those pretenders. Many Nigerians believed them. Some hankered after them. When, therefore, an opportunity presented itself for this breed to take over the reins of governance, Nigerians overlooked the infractions that came with their coming. The people believed that the change they yearned for has come. Regrettably, what the people have reaped is disappointment. It looks like the people are too dazed to notice the level of brigandage that is going on. They cannot believe what they are seeing under the new order. They are rather waiting patiently for another opportunity to come so that they can show the government the exit door. That may be good in itself. But Dasuki’s case cannot wait for the better and brighter tomorrow that the people are looking forward to. That is why the man wants to be heard. And the courts have an obligation to address the anomaly that he has drawn their attention to. One of the reasons the government of the day is getting away with all manner of infractions is that ours is a country where anything goes. A government that flagrantly violates court orders has no business seeking courts’ respite or claiming to be democratic. Under the present administration, Nigerians have witnessed all manner of assault on our democracy and democratic institutions. In Ekiti and Osun states, governorship elections conducted by the current Federal Government were won by APC in questionable circumstances International observers were astounded by what transpired. They dismissed the elections as an elaborate charade. Yet the government that superintended the flawed elections is talking about anti-corruption. We do not seem to have any abiding standards any more. The people are being fooled under the present order. But as they say, you can fool some of the people some of the time, but you cannot fool all the people all the time. Dasuki’s rights as a free citizen of the country have been violated for too long. There has to be an end to this infraction. The man is therefore challenging the government and its institutions to live up to expectation. He is in order. His battle will not serve his purpose alone. It is in the overall interest of us all.